Your use of this website and any service contained within it constitutes acceptance of these Terms & Conditions. 2.2 You are responsible for maintaining your own username and password, where required to access your customer account. You should store your username and password securely and ensure that the details required to access your customer account are not provided to another party. 2.3 As a customer, you are responsible for your customer account and any actions taken within it. If you are aware or suspect that your customer account username and password or other details have become known to a third party, you should inform us immediately. 2.4 Our website is only intended for use by individuals over the age of 16. 2.5 Any account that contains false or misleading information may be subject to deletion. 4.1 We make every effort to ensure that the pricing displayed on our website is correct. However, if an error in the pricing of a service is found, we reserve the right to cancel your order, contact you to arrange payment of any extra sum due or refund any over-payment made by you (as applicable). The processing of an order can be cancelled or corrected by us at any time up to the electronic shipment (delivery) of that order and any related items. 4.2 We reserve the right to alter all service pricing without notice. 4.3 The title in any services ordered from us does not pass to you, the purchaser, until we have received and processed a valid payment, which has been made into our own account and your order has been delivered. 4.4 All basket prices under the value of £20 GBP will incur a surcharge of £20 GBP in addition to the amount charged (or equivalent in your currency). Any basket amounts over £20 will not incur this additional charge. 4.5 All orders shall be paid in GBP, unless otherwise agreed and even when the price quoted at checkout is in a different currency. 5.1 When you place an order, you will automatically receive an email from us informing you that an order has been placed. Your order constitutes an offer made to us to purchase the services specified in the order. 5.2 Your offer is only accepted by us once we have emailed you to confirm the order (the confirmation email stating 'your order is now confirmed'). 5.3 Your order is complete when we have emailed you stating 'your order is now complete'. 5.4 Your order will be delivered to your account on the Supaproofread website within the specified time period indicated when you place your order with us. To collect your completed order and download your document, you will be required to sign in to your account and download the edited document from the server. 5.5 We reserve the right to delay or refuse orders where a transaction contains incomplete details or details that cannot be verified, where the balance has not been fully paid (awaiting the transfer of funds), or where fraud is suspected. 5.6 If we are unable to reasonably ascertain these details or resolve these issues, a full refund will be made through the payment gateway and the method you used at the time of purchase. No other form of refund or credit will be offered nor will a refund be made to any third party card or account. 5.7 Where information contained within an order breaches section 7.3 of these Terms and Conditions, the information will be deleted and any outstanding information for the order will be applicable. 6.1 Unless otherwise agreed, payment will be made by the user when submitting the order. This amount will be paid to Supaproofread through either our credit/debit card processor or PayPal. 6.3 Payment of an order is required to be 'fully cleared' by the specific payment processor, and Supaproofread cannot be held responsible for any delays due to fraud and identification checks. 6.2 Supaproofread may, at its sole discretion, offer monthly invoicing arrangements to regular business customers and agree to additional or modified terms for such arrangements. Unless otherwise agreed in writing, payment is due when an invoice is rendered. Payments more than 7 days past due may be subject to administrative charges of up to £100 and interest charges at 2.5% per 7 consecutive days. 7.1 Supaproofread recognises that the academic evaluation of student work depends on considerations beyond our control. Therefore, we cannot be held legally or otherwise responsible for disappointing and/or unsatisfactory outcomes of any factor, including the negligence of editors, staff, or claims of such negligence. 7.2 You are advised that plagiarism and breach of copyright are serious offences and we assume no responsibility for such content. 7.3 Supaproofread editors will not proofread and edit work in a way that infringes on potential plagiarism guidelines established by the academic community; this includes, but is not limited to, rewriting substantial amounts of text, rewording copied (not cited) text from others, adding substantial text to your paper (including incomplete sources in your references list/bibliography), paraphrasing any part of other people's work, and checking your paper for plagiarism. 8.1 No right of cancellation exists under the The Consumer Contracts (Information, Cancellation and Additional Charges) Regulations 2013 for downloaded goods, electronic or “softcopy” personalised services to which you, the customer, place. 8.2 Once you have submitted and paid for your order, the work will be checked and reviewed within six hours. Should you wish to cancel your purchased service, you must contact Supaproofread by email (info[at]supaproofread.com) within six hours of submission. 8.3 If we have received notice to refund your order within six hours, a full refund will be provided, minus an administration fee of 10%. If your refund request is received between six hours and eight hours after placing your order, you will be eligible for up to a 50% refund for your order. However, no refund will be offered for cancellations made more than eight hours after submission. 8.4 Supaproofread agrees that if the customer believes their edited document does not follow their exact instructions, the customer may request amendments to the document within 7 days of delivery. However, should these amendments be in contravention of Section 7 of these terms and conditions, then Supaproofread can refuse this offer in line with Section 8.1. 8.4 If we agree to refund an amount for your order, this refund can only be refunded through the payment gateway and the method with which you have paid. Please note, however, that for all card payments, you should allow up to 7 working days for a refund to be processed; this is due to a number of financial institutions holding refunded funds and is not reflective of Supaproofread. 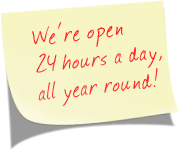 We endeavour to respond to all customer complaints or queries within two working days (Monday to Friday and excluding bank holidays in the UK). Supaproofread shall not be liable for any delay or failure to perform any obligation under these Terms & Conditions if the delay or failure is caused by any circumstances beyond our reasonable control, including, but not limited to, acts of God, war, civil disorder, industrial dispute or technical failure. 11.1 Supaproofread grants you a licence to access the content, information and services contained within our website for personal use only. 11.5 Our website cannot be placed within the frameset of another site. 11.6 Third parties are not allowed to “deep link” to pages where the content of such links, whether graphic or text, are misleading, false, derogatory or in any other way offensive. 12.1 All of the content, databases, graphics, buttons, icons, logos, layouts and look and feel are the copyright of Supaproofread, unless expressly acknowledged as otherwise. 12.2 The data mining, extraction or utilisation of service information from our website is not permitted without our express prior written permission. 13.1 Supaproofread will be liable for any losses incurred by you due to breaches of these Terms & Conditions by us, where such losses were reasonably foreseeable at the time the contract between you and us was made. Supaproofread.com and/or its proofreaders, editors and researchers may terminate a project at any time for any reason. The foregoing paragraphs, subparagraphs and clauses of these Terms & Conditions shall be read and construed independently of each other. Should any part of this agreement or its paragraphs, subparagraphs or clauses be found invalid, it shall not affect the remaining paragraphs, subparagraphs and clauses. Failure by Supaproofread to enforce any accrued rights under these Terms & Conditions is not to be taken as or deemed to be a waiver of those rights, unless we acknowledge the waiver in writing. 17.1 We shall not be liable for any delay or failure to perform any of our obligations under this order if the delay or failure is caused by any circumstances beyond our reasonable control. 17.2 For the purposes of this condition, "force majeure" shall include, but not be limited to, acts of God, war, terrorism, civil disorder, industrial dispute, fire or explosions. 17.3 Upon the happening of a "force majeure" event, we shall be entitled to a reasonable extension of time for the performance of our obligations. These Terms & Conditions set out the entire agreement and understanding between you and Supaproofread. We reserve the right to change these Terms & Conditions at any time, without giving notice to you. For information about Supaproofread, please visit our contact page.